Chris Cozens has 20 years experience in holistic healing. Over 2,000 students have chosen training with him. Having had the good fortune to have trained with some of the best teachers in UK and overseas, he shares his knowledge in a friendly fast-track learning environment. Reiki is a Japanese word meaning Universal (Spiritual) Life Force. It has the same basic meaning as the Chinese “chi” and the Sanskrit “prana”. It is an ancient form of “hands-on” healing and was re-discovered in the 19th century by Dr. Mikao Usui. It is spiritual in concept, not religious, and therefore is not attached to any dogma and can be accepted by any one of any faith. It can be taught to anybody, even children. It is normally applied by the hands indirectly and directly. Reiki is used to treat both self and others, and is a powerful aid to personal growth. It works at and on all levels — Spiritual, Emotional, Mental and Physical. The healing energy is drawn not from, but through the “healer’s” body ensuring that the healer’s own energy is not depleted, but is in fact enhanced and re-balanced from the energies flowing through. It can also be used on plants, animals — in fact, anything that is living. 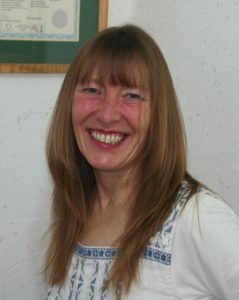 Your course tutor is Sandra Jones. The deposit comes off the price of the course – VAT is included, no hidden extras. The full venue address will be sent to you and confirmed as soon as you book with the tutor.